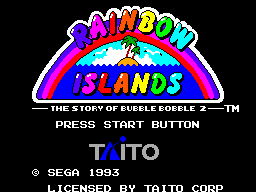 "The story of Bubble Bobble continues! 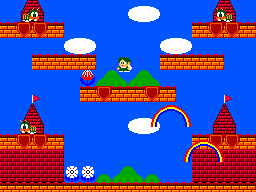 Bubby is on magical, mysterious journey. 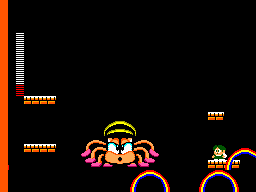 The good people of the Rainbow Islands are being held prisoner, and only Bubby's rainbow power can save them."